The beach of sand and pebbles is located next to a large area for sport activities, near the pools and near the centre of the Village, where are situated all the main services; in front of the beautiful scenery of the geomarine Park of Tavolara. Beach umbrellas, lounge chairs and beach beds are avilable for the guests, for their relax surrounded by the typical mediterranean vegetation. The sea is clean and clear, with beautiful colors. The gently sloping seabed id very suitable for children and inexperienced swimmers. 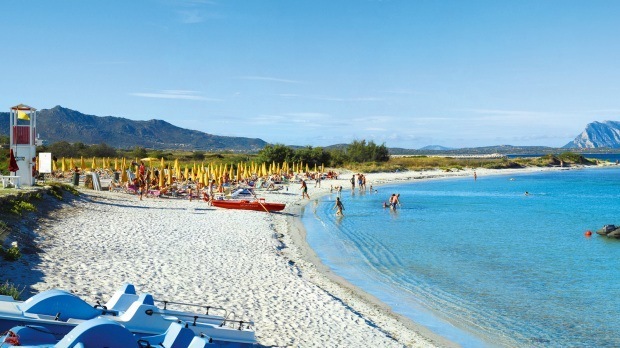 Not so far from the beach, 15 minutes walk, you can reach the most famous and popula beach of San Teodoro, La Cinta Beach. It is ideal for those who like walking on the sandy shore, which streches for 5 Km. The wonderful staff offers a variety of sports activities, games and entertainment (from 09/06 to 08/09) every day. Our entertainers are professional, friendly and kind. 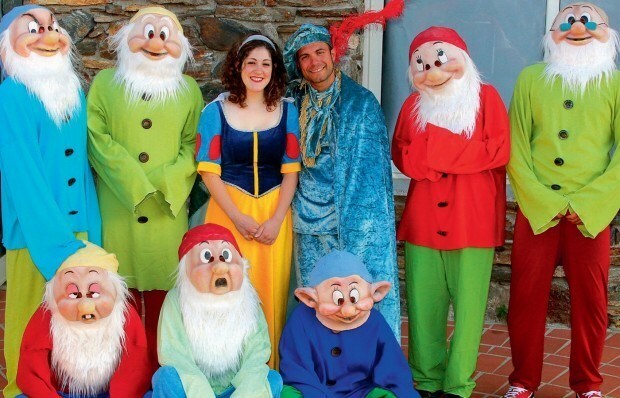 Each evening will be proposed Disney shows, dances and musicals with sets and theater costumes. Qualified staff will offer a complete daily entertainment program with care attention to the choreography, the costumes and the the scenography, with discretion and fantasy. In program for the summer season 2019 the new exclusive Disney show “The Descendant”, “Frozen”, “Tarzan – Musical” – “Disney Parade” – “The Addams Family” – “Peter Pan” – “The Legend of Zorro” – “Mamma Mia The Musical” – “Ogni Favola è un gioco “-” Chicago “Se il tempo fosse un gambero”-” Pirates of the Caribbean “. The entertainment staff provides gymnastics and dance, Latin-American group dances, evening piano bar, cabaret, tennis lessons, canoeing, swimming, aerobics, aquagym, step, archery (only workable with instructor), Darts, tournaments, games, entertainment during the day, games and steps to the beach, canoeing, pedal boating, mountain bike (extra charge). Karibu Diving Staff will take you to discover the most beautiful backdrops of the area, with competence and professionalism. This valuable experience will make your dives in the park of Tavolara fascinating and engaging. For fans of diving the area is one of the most interesting of the entire Mediterranean basin. Since few years the area is included in the new marine park of Tavolara and Punta Coda Cavallo, to protect this corner of the Sardinian coast unique for its geomorphology, biological and environmental. The shape of the seabed rich in ravines, rifts, dry and small caves provides the natural habitat for a variety of aquatic organisms that live and reproduce in this area. The seabed is particularly so full of life. You’ll meet big groupers, lobsters, moray eels, croakers. The rocks of the seabed are often covered with red and yellow gorgonias. Meetings with shoal of barracudas, dentexes, amberjacks and bonitos are articularly exciting. PADI licence at all levels, for adults and children. Mini Club from 5 to 11 years old, Junior Club from 12 to 17 years old.The staff takes care of all children (a specific programme for children at fixed times). Outdoor activity take place in a large equipped (and partly shady) area, playground for children in a green area. Sport programme of Tennis training, Swimming and sports on the beach. Moreover, in the Restaurant there is a reserved area for Mini Club where the staff takes care of your children! (service included and optional).Every night after dinner and before the show, will be organized the Baby Dance, 30 minutes,during which the children can “go wild” dancing accompanied by the entertainment staff. Also, one night a week they will be the protagonists of small shows or performances that the staff organizes for them. In addition to the important evening programming of the entertainment staff, they provides also gymnastics and dance, Latin-American group dances, evening piano-bar, cabaret, group tennis courses, canoe, swim, aerobic gymnastics, gym water, step, archery (practicable only with an instructor), darts, tournaments, plays games, daily entertainment, games and passages at the beach, paddle boat. 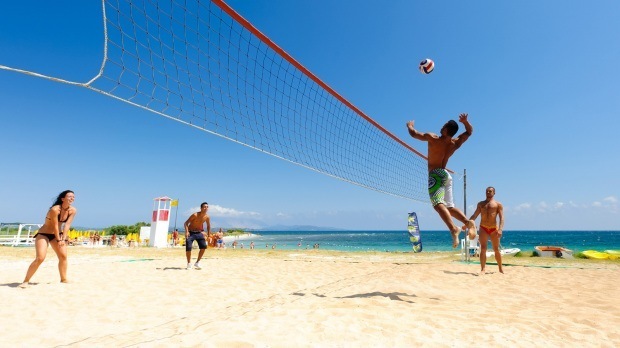 Available: beach soccer, beach volley, Tennis court and soccer field with synthetic grass, ping pong. Available (extra charge) mountain bike and bike rental, diving and snorkelling with diving centre directly inside the village (“Karibù-Diving&Travel”) diving lessons, scuba gear hiring, boat hiring with a guide, lunch with the shepherd in Orgosolo.